Those of us living in an older home with a fireplace often have neglected them. Frequently we don’t even use them! We all need a little inspiration sometimes to give us some motivation to tackle those tasks we’ve put off. Fireplace ideas that can reinvigorate what should be the focal point of our living space aren’t always obvious. Fireplaces are beautiful but maintaining a real wood-burning fireplace can be a real chore and eventually expensive when the chimney needs attention. Gas logs are a more convenient solution for many if you have gas at your home and are willing to spend the money to have the gas line run. While I’m obviously biased, to me the most economical solution as well as the most versatile solution is an electric fireplace insert for an old fireplace. They’re way less expensive than gas and there are some very beautiful options available. Let’s cover 5 fireplace design ideas that you can take advantage of today. An electric fireplace insert can really make your old fireplace come to life. Electric fireplaces are extremely convenient to use with most coming with a remote to easily turn on and off the flames or adjust the heat output. You can also turn the heat off completely if you’d like to enjoy the beauty during warmer months. 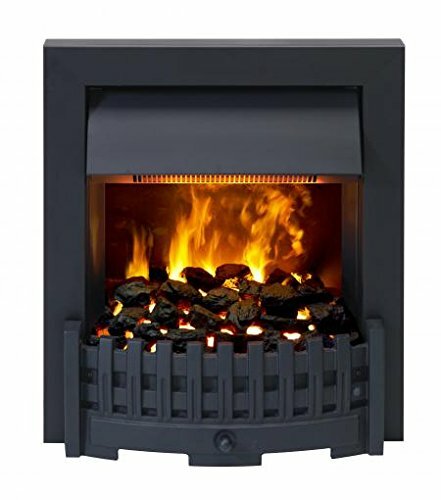 While there are very expensive yet amazingly realistic versions such as the Danville from Dimplex, there are also very affordable versions like the 26EF031GRP from Classic Flame. 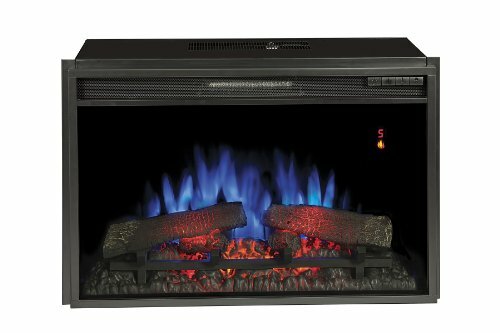 An electric fireplace insert is hands down the most effective way to put your fireplace back to work easily. An equally awesome way to update your old fireplace is to add an electric log insert. Just like electric fireplace inserts, you can spend a little or a lot but in the end you’re getting a lot of return for your money. 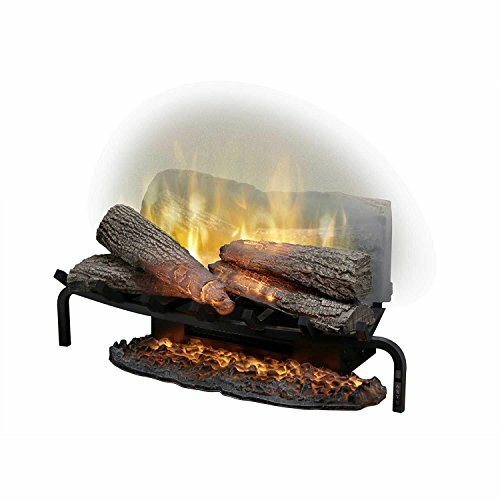 You typically get a beautiful electric log set that usually provides a heater for warming the room. You also usually get a remote for conveniently turning on and off the logs as well as adjusting the heat output. Electric logs tend to be less expensive than electric fireplace inserts however heaters tend to be more difficult to incorporate into the smaller form factor so often you won’t find heaters incorporated into the designs. If a heater is a must though there are options available. 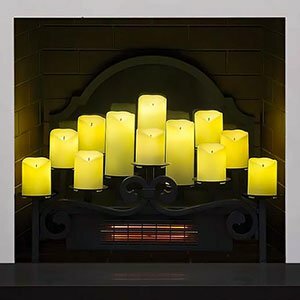 By filling your old fireplace opening with candles you can create a beautiful and engaging new look for your fireplace. There are many ways to do this. You can get a beautiful fireplace candelabra to set inside your fireplace. The variety of candelabras available is massive. There are candelabras to suit any taste or design. A beautiful candelabra with some nice candles can really transform your fireplace without even having to light them. There are also faux logs that have recesses for candles built it. 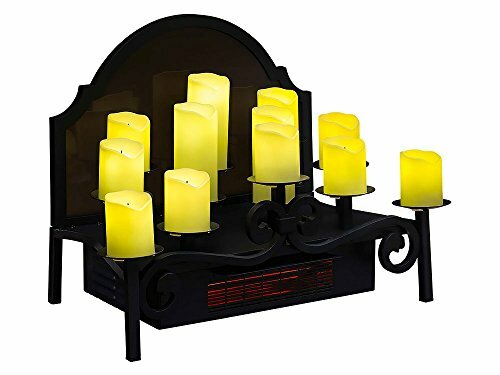 These are essentially a variation on the fireplace candelabra. It serves the same purpose. There are lots of faux logs available as well so be sure to spend some time browsing around Amazon to find the right design. You don’t need to use real candles. While real candles would be an excellent way to go, there are some drawbacks. Real candles will burn down and create a bit of a mess eventually. Eventually they will need to be replaced. To avoid that you can instead purchase a pack of flickering electric tea lights or candles. Lighting and extinguishing the candles could be inconvenient for some. Electric tea lights or candles make this any more convenient. Ideally flipping a switch or pushing a button is the way to go. 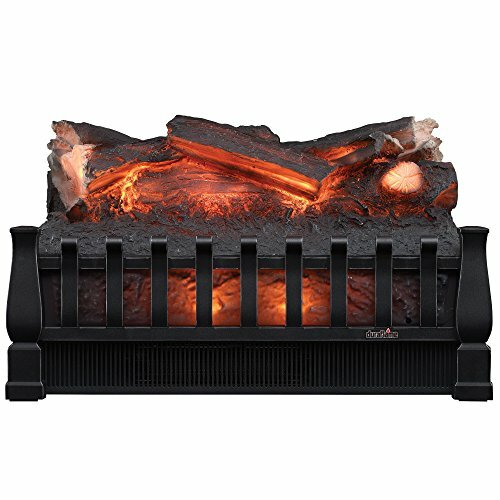 If that sounds like a better solution to you then the Duraflame 20 Inch Infrared Electric Candle Heater Insert is an excellent option. It comes with a remote for maximum convenience and it also includes a heater so it can help warm the room. Honestly, this is a beautiful and elegant solution with no real drawbacks. I read a post at TwelveOnMain.com where Sara and her husband built a faux fireplace and mantel. While not a real fireplace it certainly looks the part. What she decided to go with was an electric fireplace stove as the main attraction and it looks beautiful. 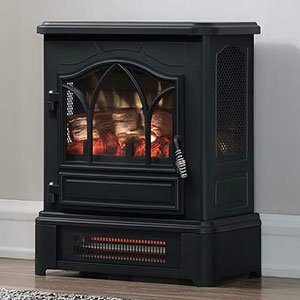 Electric fireplace stoves are a throwback to when people used to warm their homes with a massive cast iron stove that also doubled as a heater. It has a very classic look and with the addition of a remote it is about as convenient as it can get. 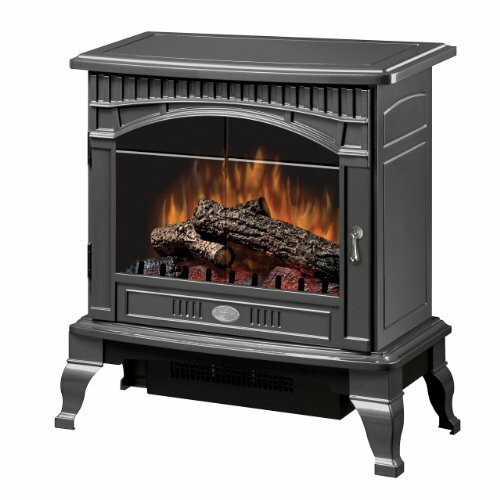 There are a wide variety of electric fireplace stoves to choose from but they all have fairly similar designs. You’ll mostly be shopping for features and price with these. There are many ways to reinvent your fireplace to make it more useful and beautiful without busting your budget. Variations of electric fireplaces can create different inexpensive solutions to a fireplace that has been all but abandoned. Electric fireplaces are an energy efficient option and one that can be enjoyed year round. 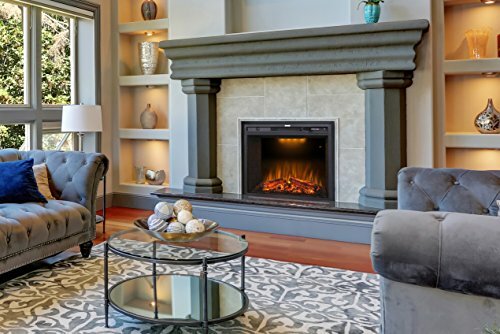 No matter what your goals are for your fireplace you’ll be hard pressed to find a solution that’s not appealing at a much more attractive price point than any other option. Staff writer @PlugInFlames.com - Always mesmerized by a flickering flame and known to stare blankly into space for hours at a time. He may not be quick but he's a savant when it comes to electric fireplaces.